It’s never easy for parents to leave their children alone and go on vacation. Sure, the vacation is amazing and rejuvenating, but what are they going to return home to? The biggest worry on the flight or drive home is that the house is going to be unrecognizable. It will be a trainwreck of dirty dishes, over-filled trash cans, and smelly laundry. 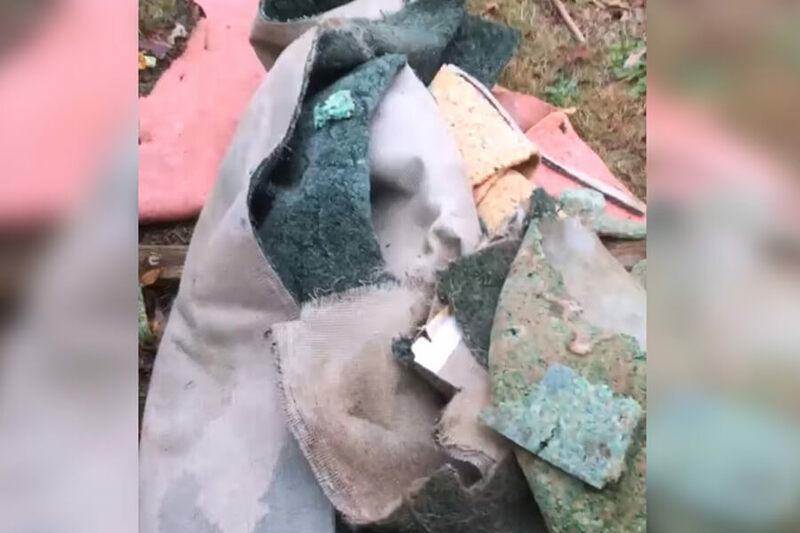 For the parents of four girls in South Carolina, they never expected to come home to the condition their house was in. They were absolutely floored — and you will be too. Read on to find out what the Schoonover sisters did to their parent’s house! 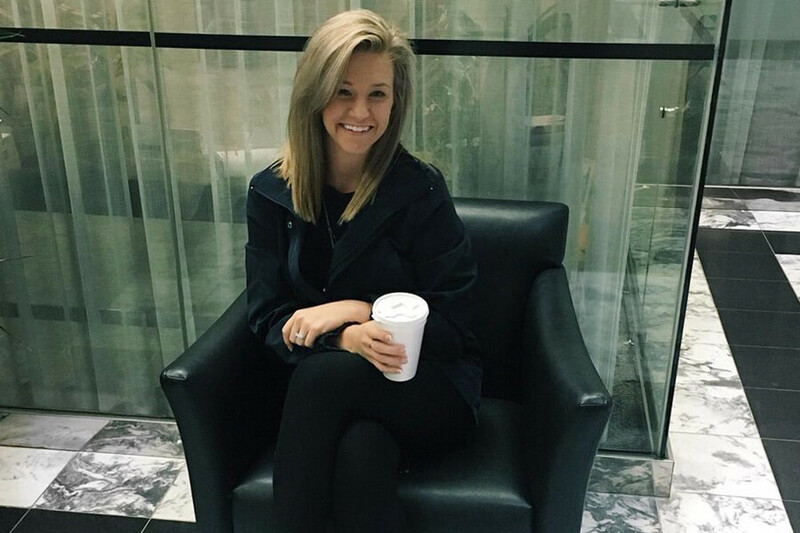 Hollie Schoonover always dreamed of being famous but never imagined it would happen because of a viral video. It wasn’t just any viral video, though. Hollie posted a video on YouTube showing her and her three sisters do something incredible for their parents. When she posted the video, views slowly came in. Hollie was no overnight sensation, but once the world caught wind of her story it was unstoppable. Her and her sisters couldn’t believe how many people they were reaching! 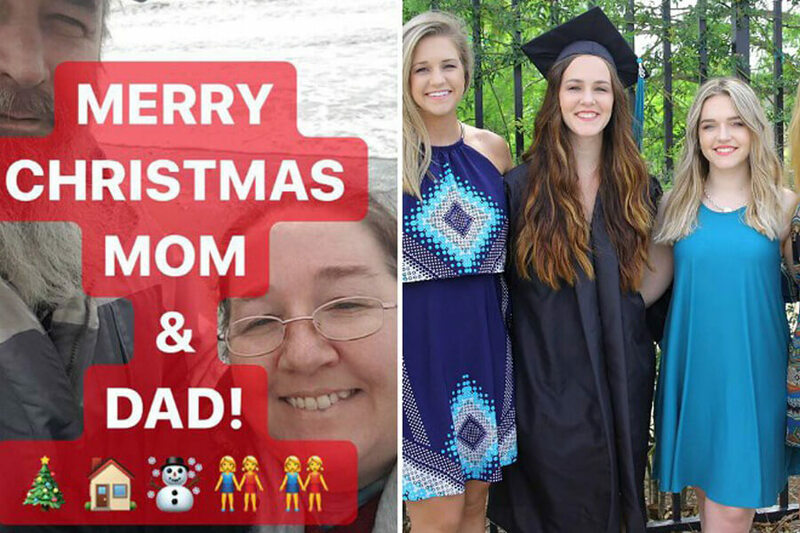 Proving home videos will never go out of style, Hollie and her sister’s made one of the most heartwarming home videos ever for their parents. When they put it online, users couldn’t get enough of the Schoonover sisters. The feeling the girls felt had to be close to how their parents felt when they got home from their vacation. The girls had no idea the impact they would have, both on their parents and on the world. Click ahead to learn more about the Schoonover family! The Schoonover family lives in North Myrtle Beach, South Carolina. The spot is a popular vacation for people looking to escape reality. 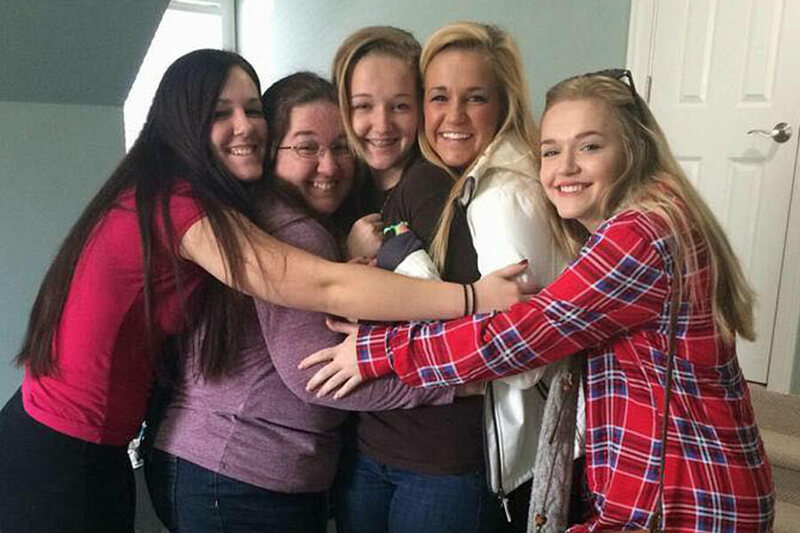 For the parents of four young women, their dream was to escape back into reality. Once they believed their daughters were old enough to take care of the house, Karen and Chip took their leave. They planned a week-long getaway in December one year. In their wildest dreams, they never imagined what the house would look like when they returned. 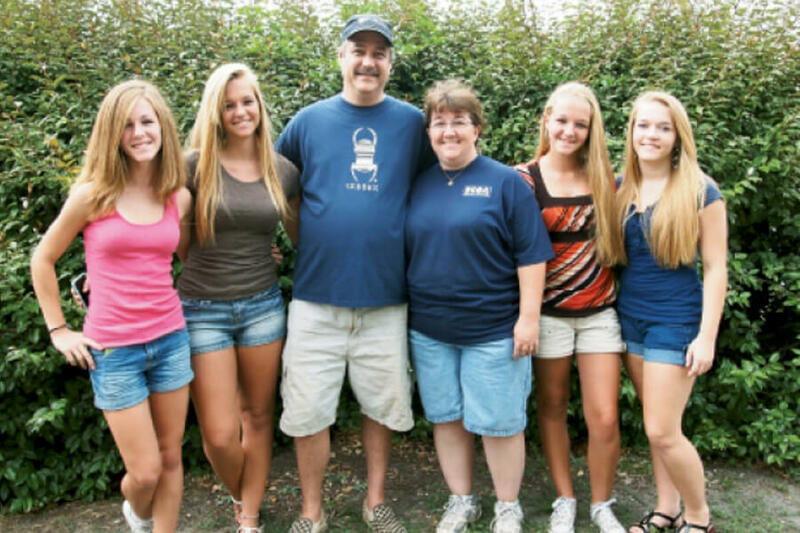 When Chip and Karen decided to start a family, they made a decision that would bond their daughters together. All four of the Schoonover girls were given names that started with “H.” Heather was the first born. She was followed by Hollie, Halice, and Haley. By the time Karen and Chip planned their vacation, Heather was all grown up and living on her own. That didn’t stop her three sisters from pulling her into their crazy scheme, though. Coming up, find out which sister came up with the idea to upend the Schoonover household! 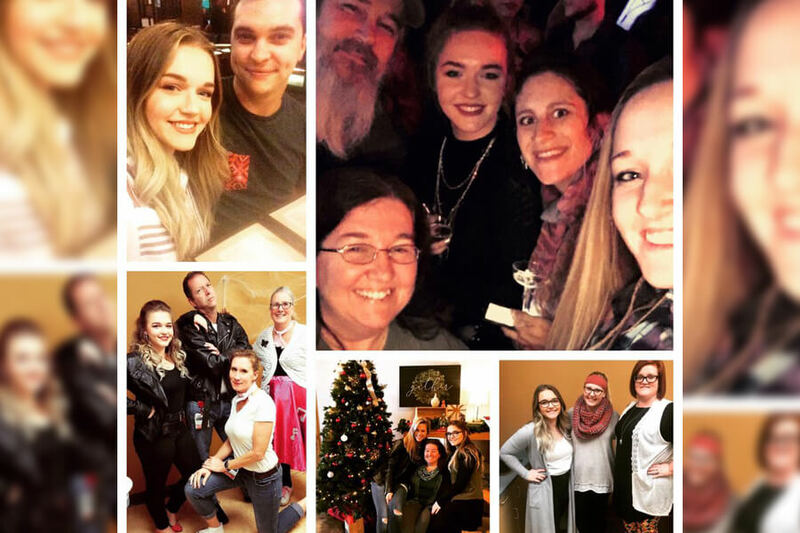 Hollie Schoonover came up with the plan to surprise her parents. Being the second oldest, she knew it was up to her to organize the rest of the family. They planned and plotted until their parents finally left. With the house to themselves, the four women sprung into action, getting ready to unleash the biggest Christmas surprise of all-time. 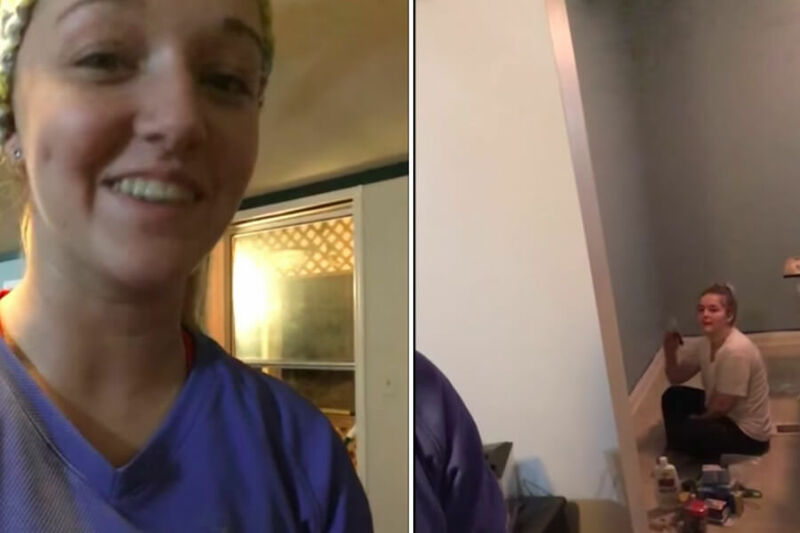 And to make sure it was a surprise no one would ever forget, Hollie made Haley set up a camera to record the entire thing. 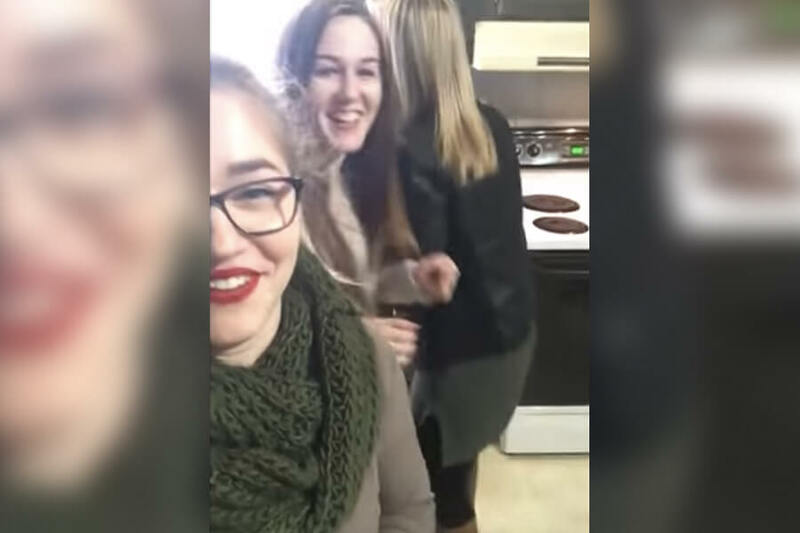 Asking Haley to film the surprise was an inspired by choice by Hollie. The pair were used to working with the camera together. Hollie was known to do her sister’s makeup, then have Haley film the final result. This new project was more ambitious for sure, but both were in comfortable roles. Using the combined artistic visions of Haley and Hollie, there was no way the Schoonover girls’ plan could fail. Set up for success, it was time to get to work. On the next slide, we reveal the parent’s worst fears! Karen and Chip enjoyed their vacation alone from the daughters. We don’t know the last time they had privacy before then, but we imagine it wasn’t much. Taking the vacation was fulfilling the dream of lifetime. Coming home from their vacation could have been a disaster. The house could have been left in shambles. 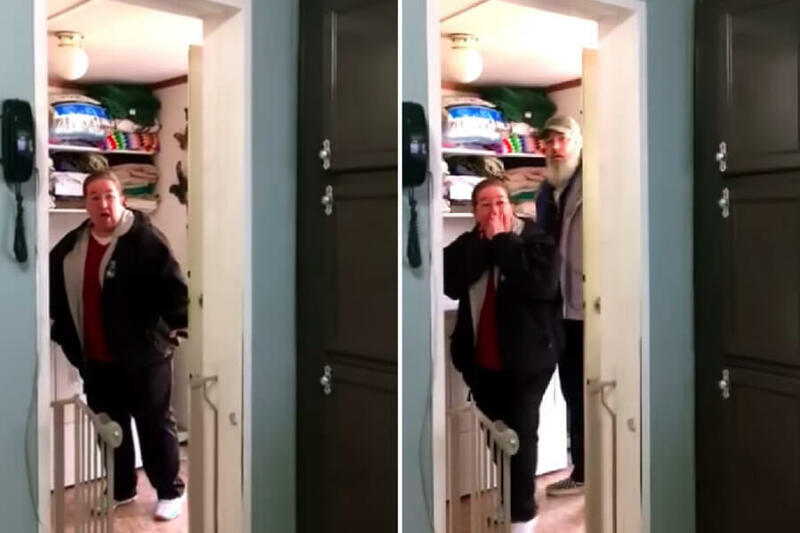 Instead, they came home to an amazing surprise. 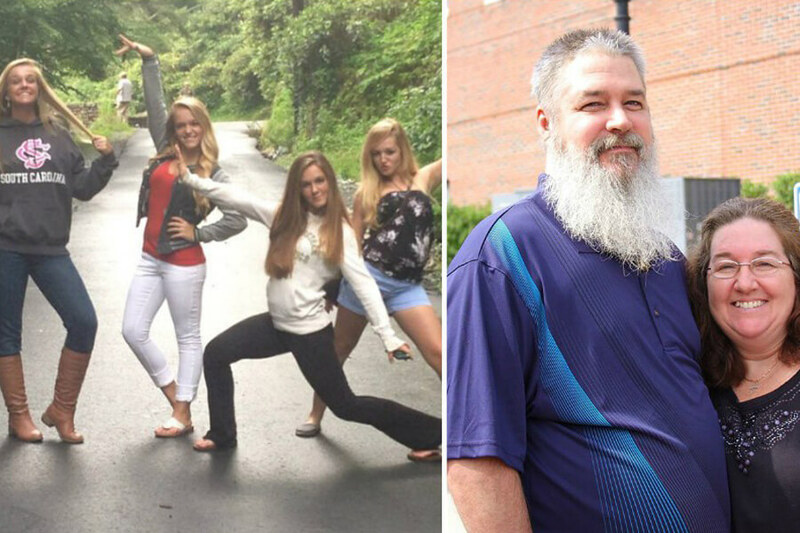 Their four daughters had come together to show their mom and dad how much they appreciated all the hard work they put into raising them. While Haley and Hollie embraced their artistic side, Halice wanted to forge a more traditional path for herself. 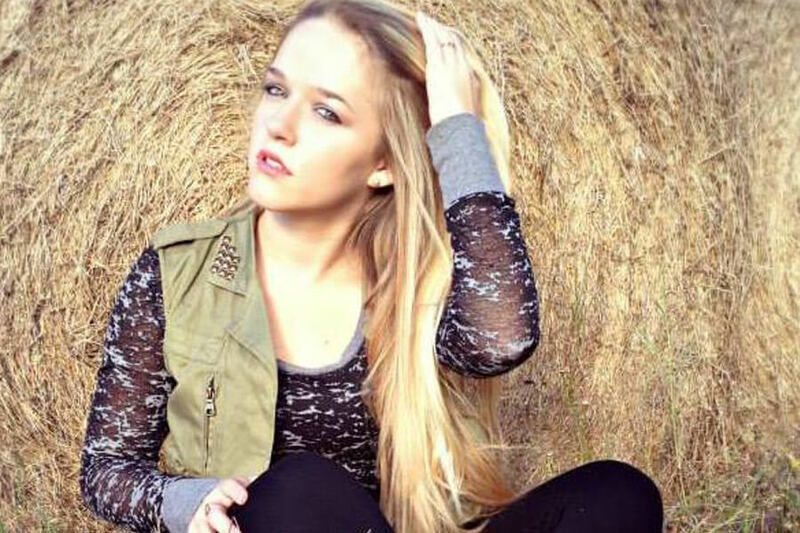 Going off to college, she decided to stay close to home and attend Coastal Carolina, the same school Heather went to. In a few slides, learn just how rooted in South Caroline the Schoonovers really are! The Schoonover clan’s eldest sister, Heather, was living with her husband further inland when her sisters came to her with their plan. She didn’t have any immediate stake in their plans, but still saw the importance of the gesture. Living inland, Heather forged her own life, settling down and taking a job in real estate. Choosing a career in housing might have been fate considering what was about to happen to her parent’s house. Have you solved the mystery yet? 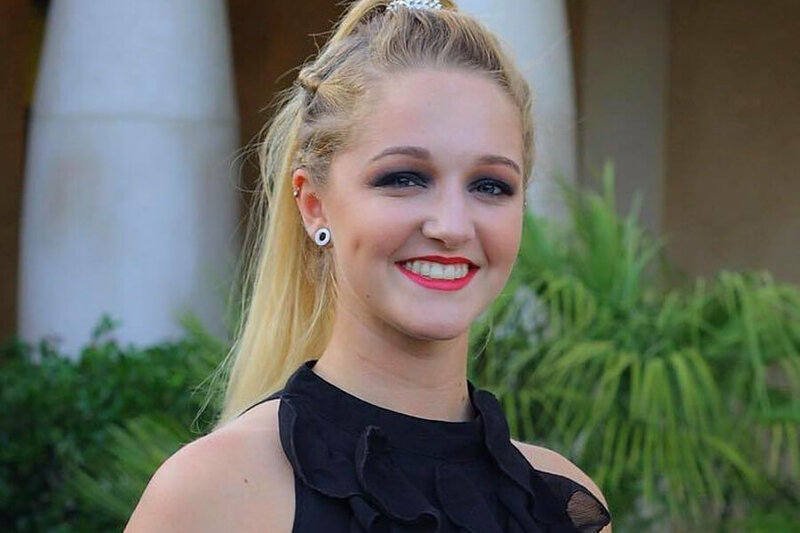 Hollie may be making a living as a makeup artist, but her real dreams are far more artistic, For as long as she can remember, Hollie has wanted to be an actress and singer. 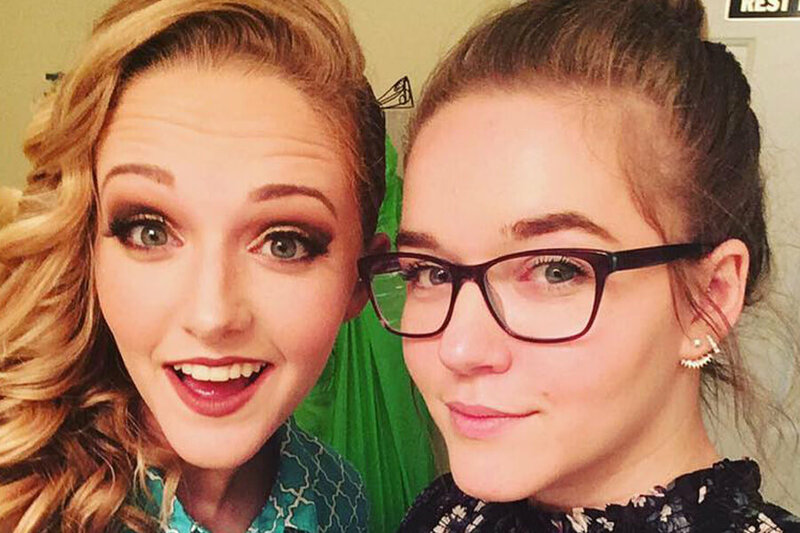 While she waits for her big break, she puts her incredible makeup skills to work. Entertainment is one of the hardest industries to break into and she’s not fooling herself about that. Still, she hopes that with more training and showcases, she will be able to live out her Hollywood dreams. The Schoonover family may have made a life for themselves in North Myrtle Beach, but their roots are in Florida. 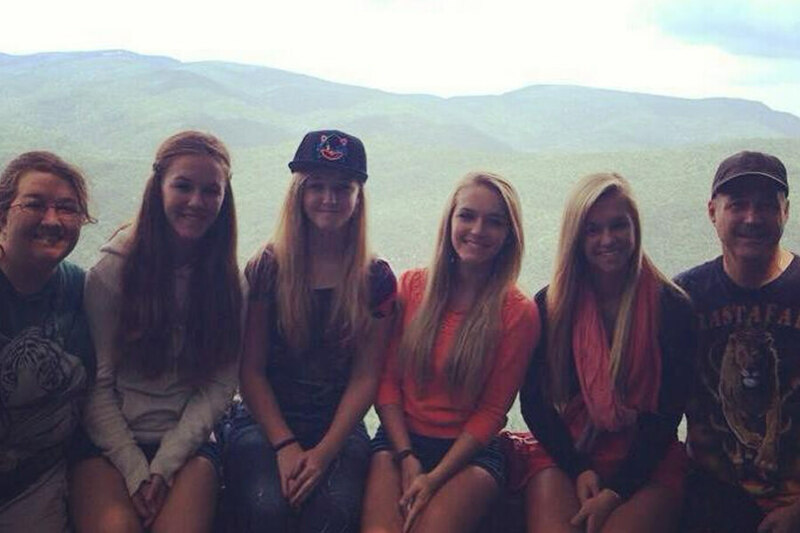 All four girls were born in Seminole, Florida. They were raised their for most of their lives, too. 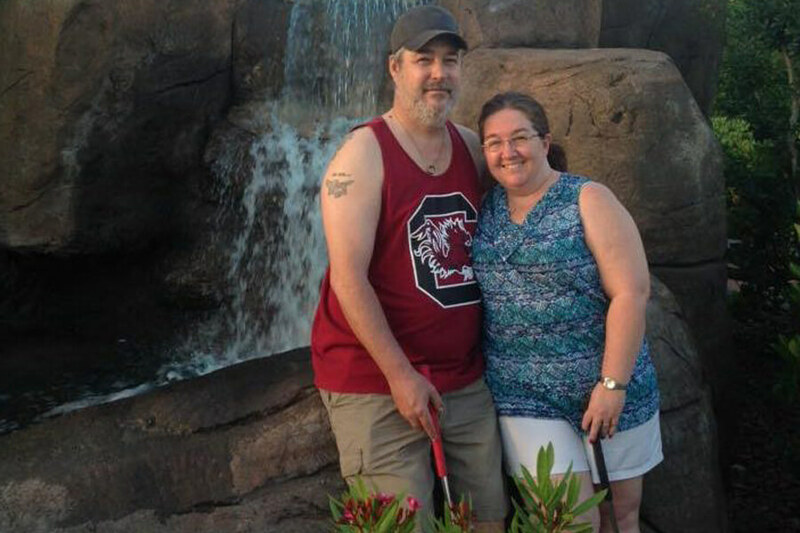 After they moved to North Myrtle Beach, however, they knew they were finally home. It was where they were always meant to be. 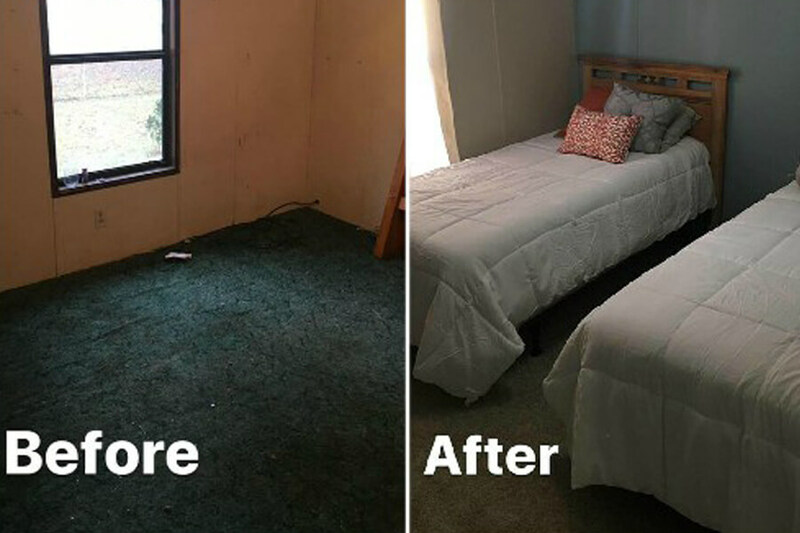 Transforming their parents home the way they were about to was only the icing on the cake. 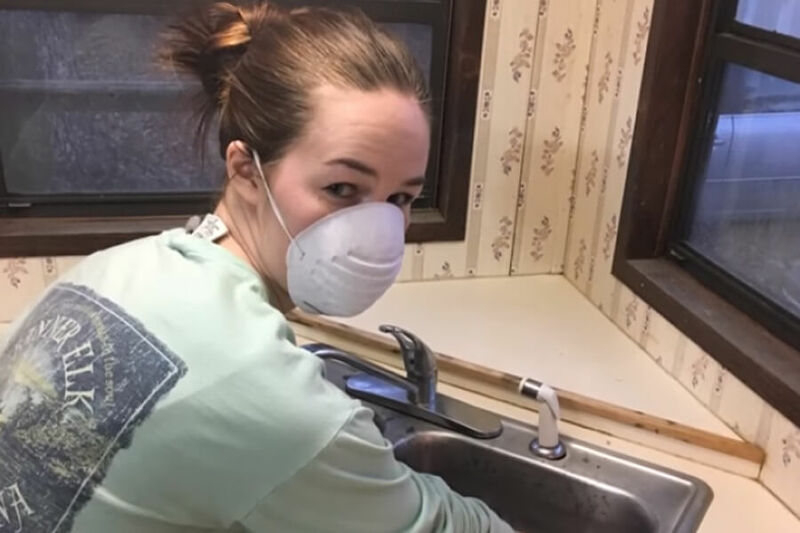 When the Schoonover sisters decided give their parents an extreme home makeover, they had no idea how extreme the task would be. Most kids would think just cleaning the house would be enough to show their appreciation. The four H’s took it to another level. When they came up with the idea, they didn’t know just how much work the house needed. From the bottom up, this house overhaul was not going to be a simple overnight project. Up next, it was more than just a simple cleaning! With their parents out of the house, the sisters came together and made a plan. Each would be tasked with rooms to renovate. Of course, before any real renovation could start, the house needed to be cleaned. There was junk and trash everywhere. According to the Schoonovers, all they could see were piles of junk. It all needed to be removed. They hoped taking out the trash would only take about half a day. Instead, it took almost the entire first day to complete. 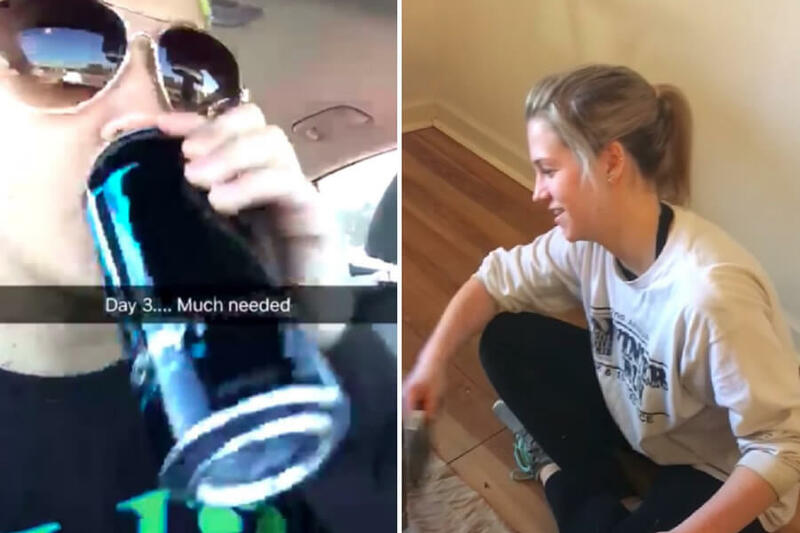 After cleaning the house, the home makeover only got harder. Hollie had created one of the most ambitious renovation plans she could think of. Her sisters supported her vision, although completing the task before their parents got home was looking close to impossible. Undeterred, the sisters ripped out the all of the carpeting in the house, jumping in with incredible determination. Along the way, they found a fun shortcut to dispose the carpet; throwing it out the window! Find out if the Schoonover did it all by themselves! A little over a day into the project, the sisters began to feel like maybe they had bitten off more than they could chew. They had seen plenty of home renovation shows and now understood why the crews were so big. To help handle some of the work, they called in friends to help. The extra muscle and hands were an immediate spirit lifter for the girls. They were determined to surprise their parents, and nothing was going to stop them. A big part of renovating their parents house was getting rid of all the old furniture and buying new pieces. The sisters pulled their finances together to pay for all new furniture. That was the easy part. Getting the old furniture out of the house turned out to be pretty hard. 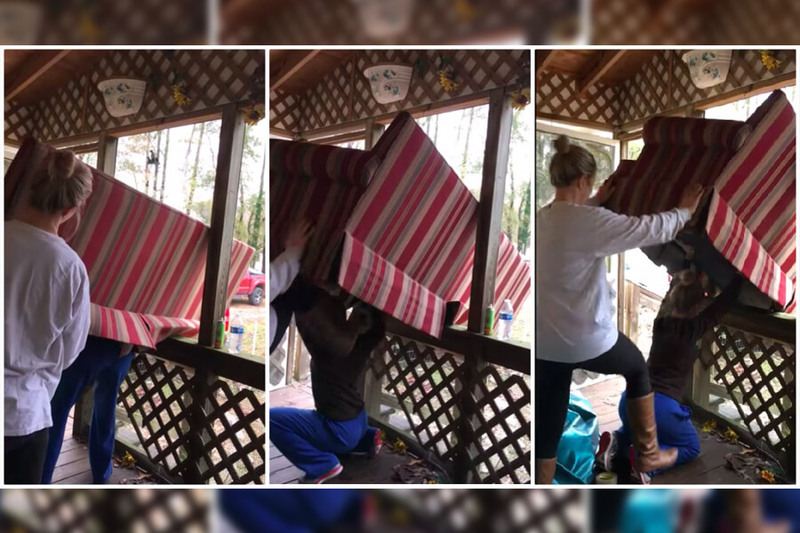 They recorded their struggle getting rid of old heavy pieces of furniture. Luckily, they were able to laugh at themselves as they did, so we can laugh with them looking at the picture above. With the renovation raging on, the sisters very easily could have hit their exhaustion points. Regardless of how hard they were working, they were still putting their bodies and minds through incredible stress. Thankfully, growing up the Heather and Halice were big into fitness. 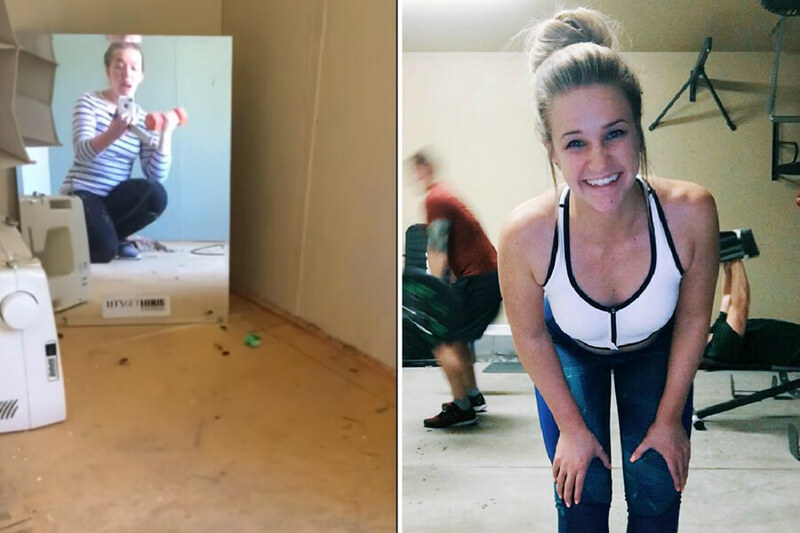 At her home, Heather hosts workout accountability groups. The groups keep help keep people on track with their fitness goals. 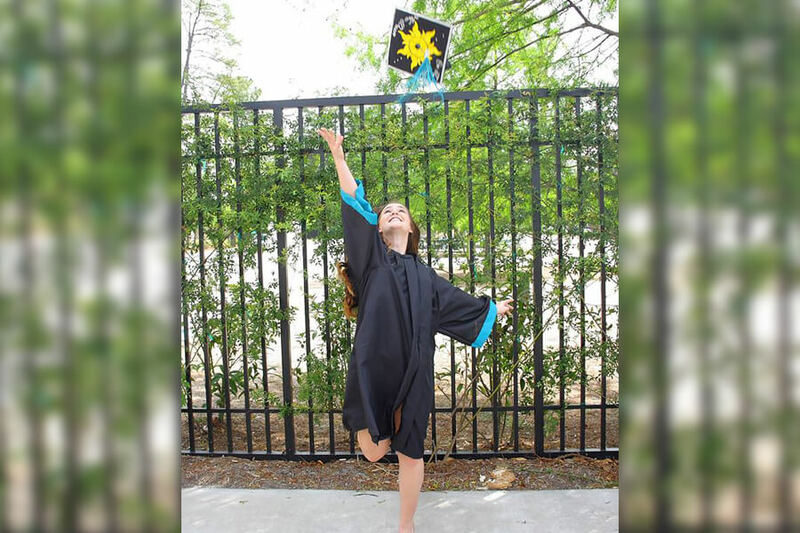 At Coastal Carolina, Halice is busy getting her degree in exercise and sports science. On the next slide, learn how the sisters were assigned their renovation tasks! For some families, coming together to work as a unit isn’t easy. Sure, they love each other, but do they really get along? That wasn’t a problem for Heather, Hollie, Haley, and Halice. They were all close in age and grew up working and playing together. They also knew each ones’ individual strengths, which made assigning tasks easier. Really, working to create a new house for their parents was a way for the girls to strengthen their bonds with each other as they pursued their own passions in life. Three days into the project the sisters almost hit their breaking point. They had ripped up the carpets, thrown out the furniture, and taken the old paint off the walls. In their eyes, the house looked worse than when they started. As they neared their wits’ end, they had to remind themselves that this was always what was going to happen. The house was always going to look worse before it looked better. There was a light at the end of the tunnel. By day four, the four H’s were exhausted. They were running on little sleep and their bodies were barely working. They were struggling to stay motivated and needed a major energy boost as soon as possible. Then a miracle happened. One of the sisters went to the store and returned with a giant pack of energy drinks. Like Popeye and his spinach, the drinks helped the girls get some energy back and find the motivation to keep moving forward. Nothing was going to stop them. One of the reasons the girls were losing so much sleep was from all of the painting they had to do. If you’ve ever painted a house, you know how long of a project it is. You need to prep the surface, put on several coats of primer, and then finally paint with your chosen color. This process was forcing the sisters to work late into nights trying to paint every wall of every room. Their friends helped as much as they could, but this labor of love was beginning to feel like a war of attrition. With the week of renovation more than halfway over, the sisters bodies began failing them. In their video, they explained they could fight through the lack of sleep and mental issues. It was the physical issues that were creating the biggest problem. Their backs were burning, their legs hurt, and they could barely stand they had been standing for so long. To keep going, they had to dive deep into their hearts and remember why they started the project; for the love of their parents. Coming up, four sisters started the project but how many finished? On day five, there was finally visible progress made on the house. The project was starting to take shape, and they could see the finish line. 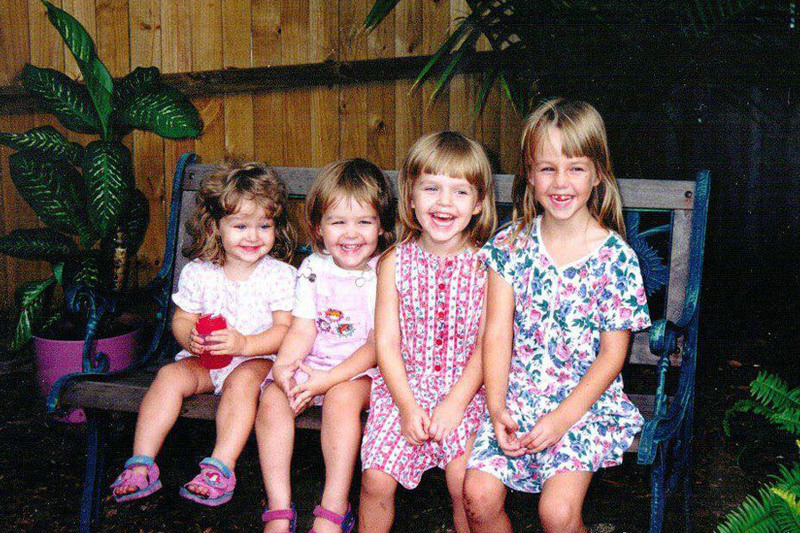 Things wouldn’t get easier, however, as four sisters became two when only Haley and Hollie were able to keep working. The two Schoonover sisters refused to let their lack of numbers deplete their motivation. They stepped up to the task and kept recording their adventure to show the world how much their parents meant to them. Down to two sisters and running out of time, Hollie sat by herself on the floor of the dining room. She was painting details into the wall in pale blue. 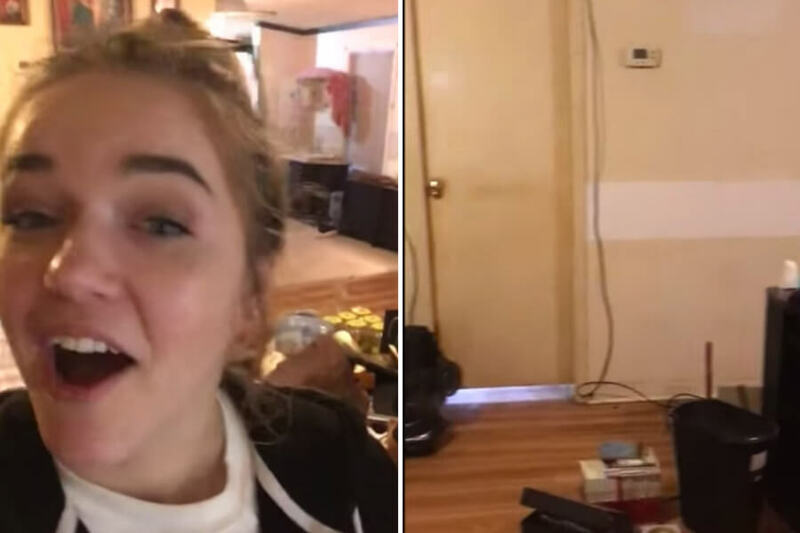 Haley filmed her sister, then turned to the camera on her to give a special message. There might have been only two sisters left working, but they had completed one of the most important tasks of all. They had replaced all the old carpeting with brand new carpeting, all by themselves. Haley and Hollie set their alarms for 7 a.m. Sleep wasn’t important, finishing the project was. On one of the last mornings of the project, they looked around the house to see what was still left to do. Half of the cabinets needed new coats of paint, the kitchen was only half painted, and various other details needed attention. This was the last day to get work done, and they planned to keep going until they finished or their bodies were finished. Hollie then turned the camera on herself and showed off her “stress acne.” It had popped up all around her face. They couldn’t fret about their problems though, they needed to focus. 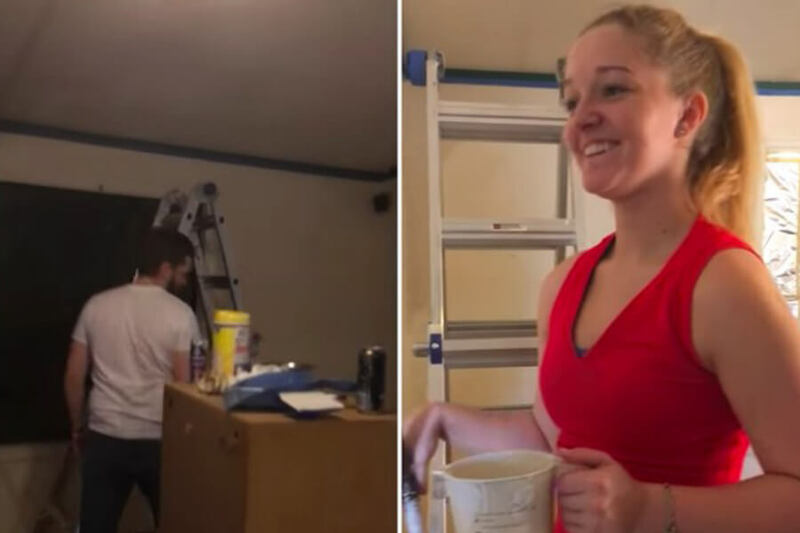 All they had left to do was finish painting and put the new furniture in the house. They were so close! Coming up, the big reveal! You won’t want to miss it! The house was finally complete. Now all that was left to do was plan the big reveal for their parents. 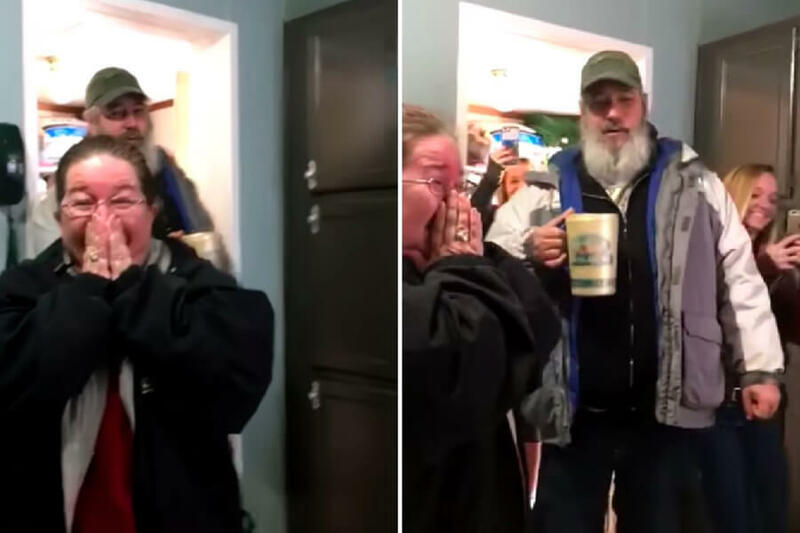 The sisters didn’t want to just surprise their parents, they wanted to capture their reaction, just like on TV. First, they planned to trick their parents. Heather came back home for a “surprise” visit. This was the decoy. 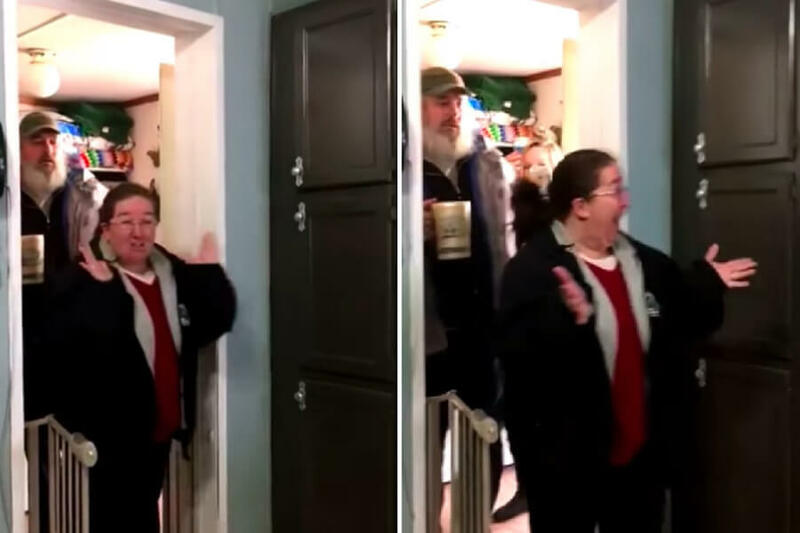 Karen and Chip would be so excited to see their oldest daughter that they would have no idea another even bigger surprise was in store for them. Hollie turned on the camera as the sisters waited for their parents to return home. 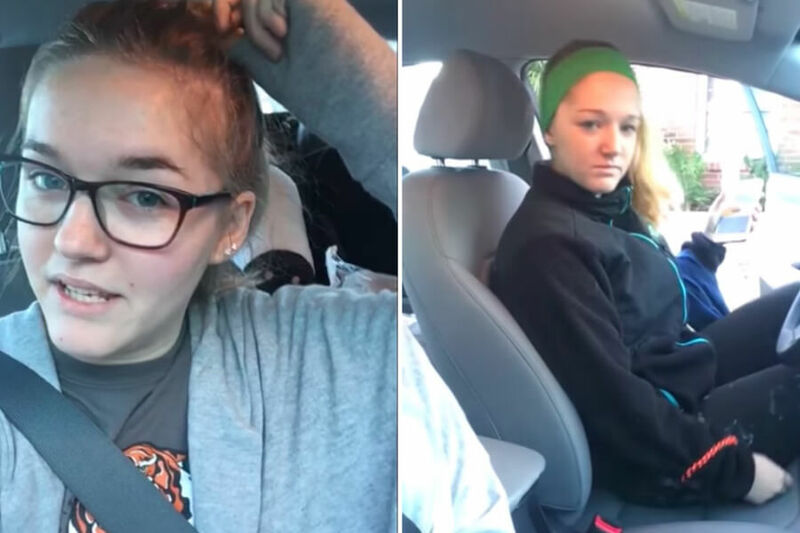 As the car pulled up, she looked into lens and said, “We’re so nervous.” Continuing to film, Hollie kept turning the camera from the driveway to her sisters. This buildup of anticipation wold become the opening of their YouTube video. By teasing the final moments of their hard work, they left the audience wanting to see the whole thing. 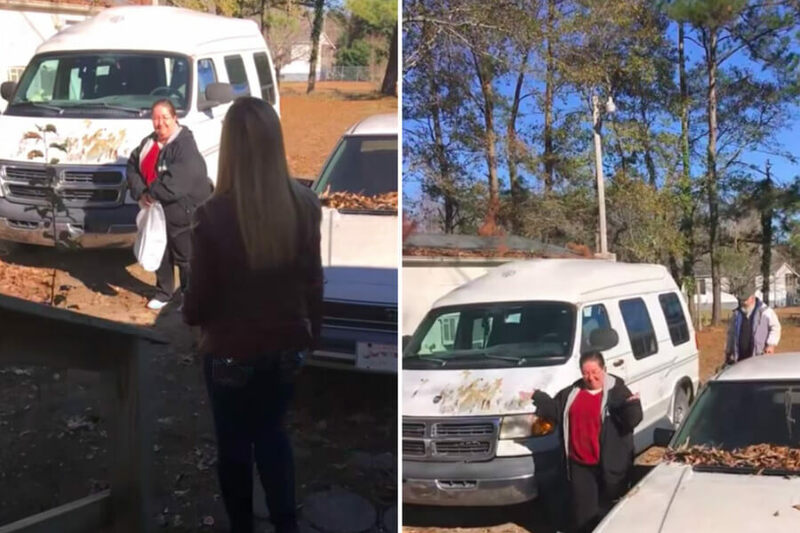 They had no idea the video would go viral. The Schoonover’s plan to throw their parents off the scents with a surprise visit by Heather worked like charm. Karen and Chip were so excited to see their oldest daughter, they had no idea what waited for them inside the house. When Karen saw Heather, she said, “Hey! Hey! What are you doing here?” Using Heather as a decoy was a sneaky plan for sure, but it’s not like Heather would have missed the moment either. 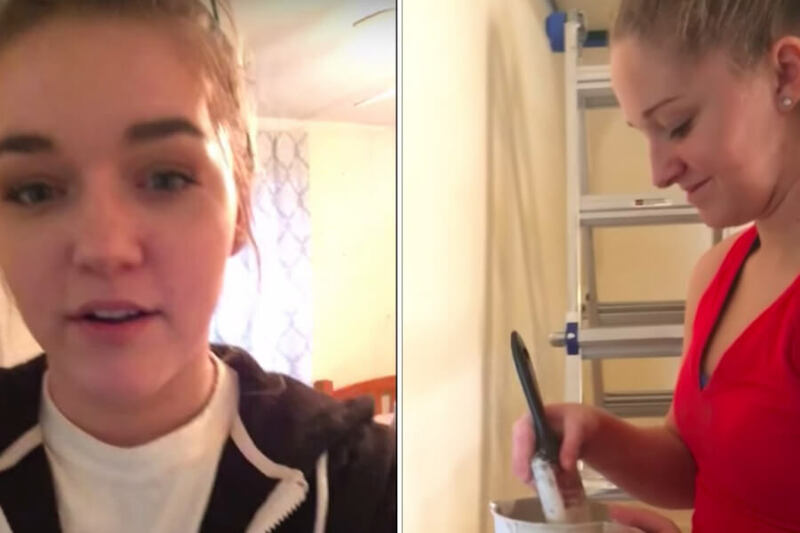 She worked hard with her sisters to fix the house and wanted to see her parent’s surprise. As soon as Karen got out of the car, she knew something was up. 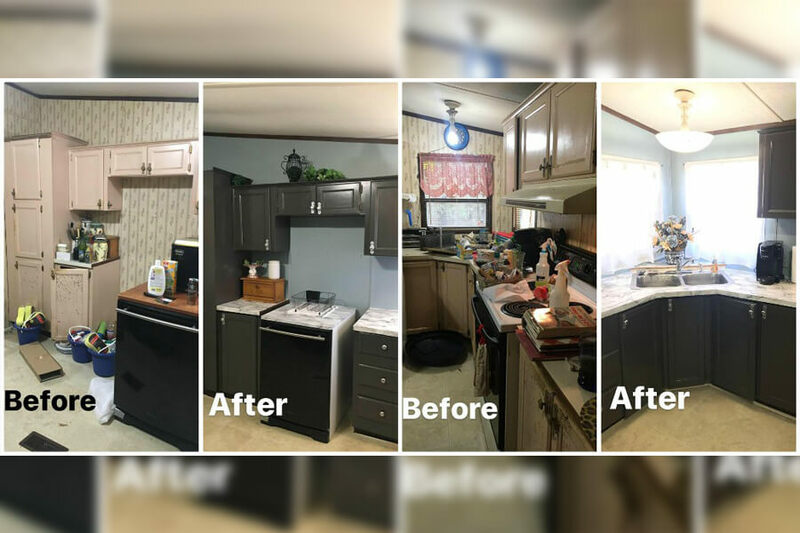 The front of her house was noticeably different, causing her to ask, “Alright, who cleaned?” Seeing her oldest daughter at home and a clean front yard would have been enough. Karen had no idea that what she was about to witness was going to blow her mind. 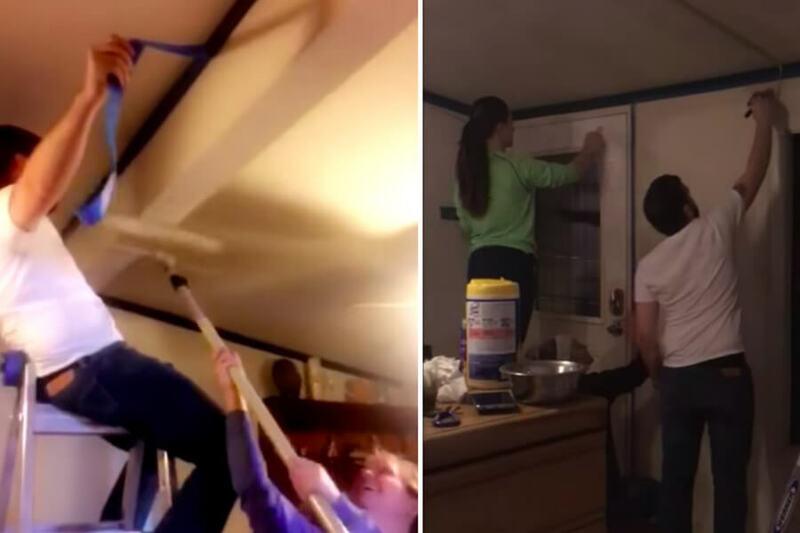 The girls had done more than a simple cleaning job, and now all their hard work was about to pay off in the most amazing way. The girls continued with their big reveal. Leading their parents inside, Heather said, “Your surprise isn’t over yet.” Karen and Chip were about to get the surprise of a lifetime, they just needed to take a deep breathe first. 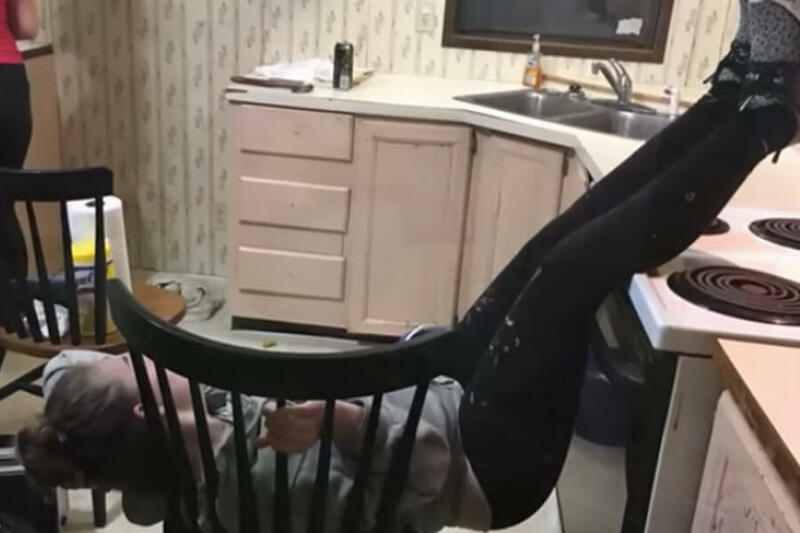 When their parents entered the house, they were speechless. They couldn’t believe what had happened while they were gone. They were only at the entrance of the house, but already their minds were blown. This moment proved to the sisters that all their hard work was worth it. Karen could barely contain herself walking through the house. She shrieked, “What!” in amazement and disbelief. All she hoped for was that the house was clean. 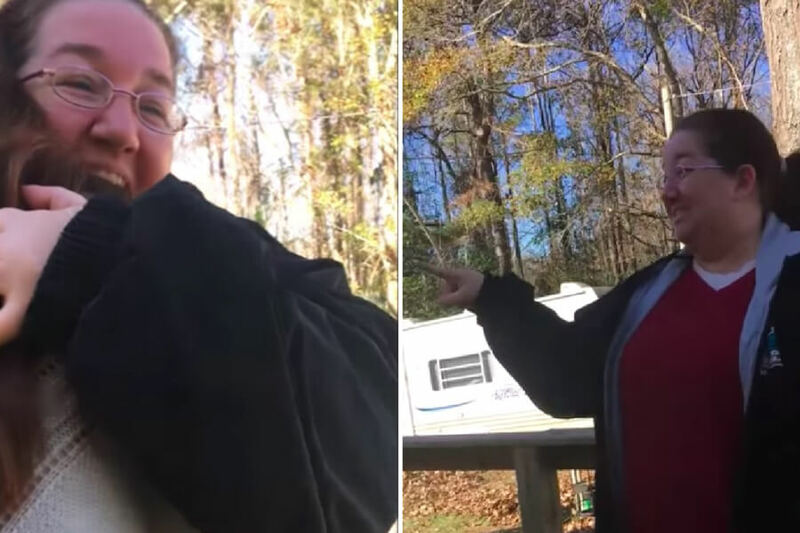 She never expected to come home to an entirely new house. With every room, Mrs. Schoonover brought her hands to her mouth with joy. The new carpets, new furniture, and new paint made the house truly feel like a home. 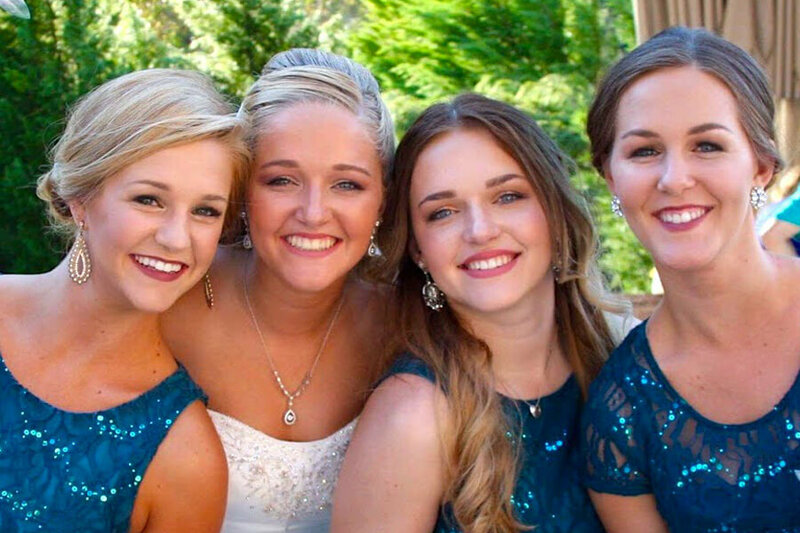 Her heart was filled with happiness, and Heather, Haley, Hollie, and Halice weren’t done yet! Karen entered the kitchen, tears streaming down her face. She was amazed at the new look her daughters had given the room. The walls had been painted pale blue. The cabinets were bathed in a coat of dark brown. 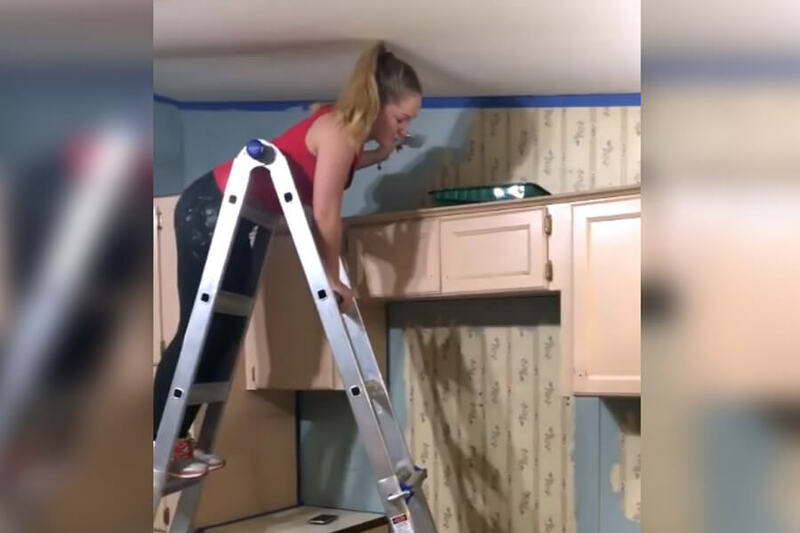 More than new paint, the girls had also replaced the countertops. The new surface was polished marble so clean you could see your reflection in it. Already overwhelmed with emotion, Karen still had more rooms to explore. The girls led their parents into the dining rooms, where the waterworks continued. Karen was overwhelmed in the best kind of way, and the surprises were just going to keep coming. As their mother explored her new home, the Schoonover sisters giggled and laughed with glee. This was the moment they had been waiting for. It was the moment that they were willing to lose a week’s worth of sleep for. After seeing their mother’s reaction, they knew all the back pain and stress acne was worth it. Next on the tour was the master bedroom. 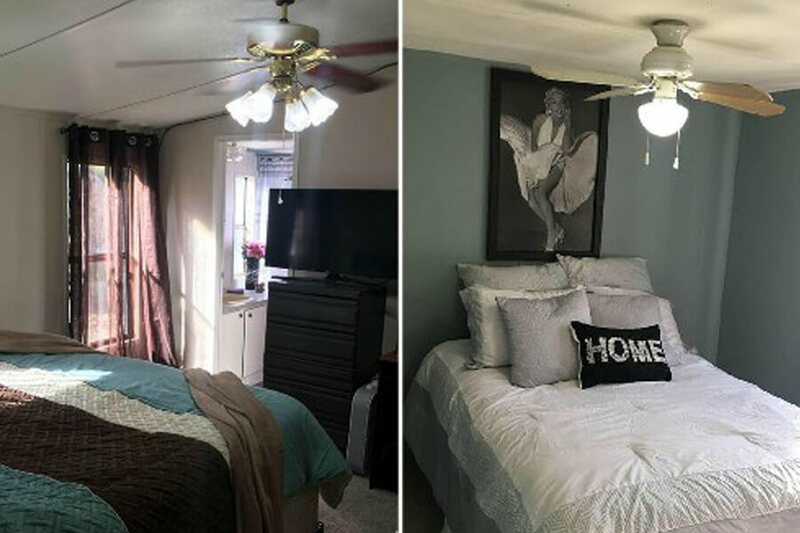 This was the most important room, and it received the most significant makeover. Karen was taken into another world as she stepped on the new carpet in the room. Chip stood at the doorway, barely able to fathom what he was seeing. He may have seemed stoic in his reactions, but he was barely able to keep his mouth closed as he walked around the room. Like his wife, he never imagined he would come home from vacation to a brand new house. 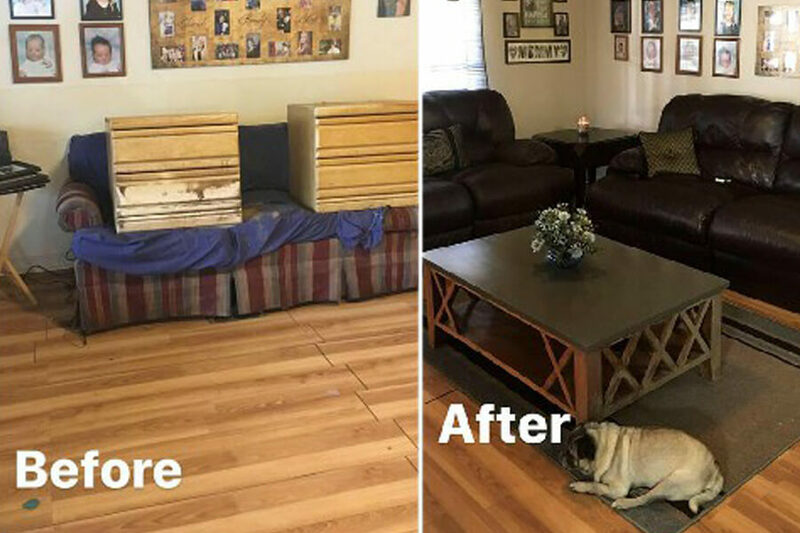 The girls truly went above and beyond for their parents when they decide to renovate the entire house. They gave everything a fresh coat of paint and updated the bedding in every room. At this point, you’d think there wouldn’t be any more surprises, but you’d be wrong. Chip and Karen’s daughters had gone out of there way to make sure no stone was left unturned on the journey to create a brand new home for their parents. Continuing the tour, they were led to the guest bedrooms. The sisters painted them to match the rest of the house and updated the decor in the room as well. The curtains, bedsheets, and comforters had all been replaced. The sisters had clearly though of everything, and their parents couldn’t believe it. Every parent dreams their kids might pay them back someday, but rarely do they expect it to happen in such grand and emotional fashion. 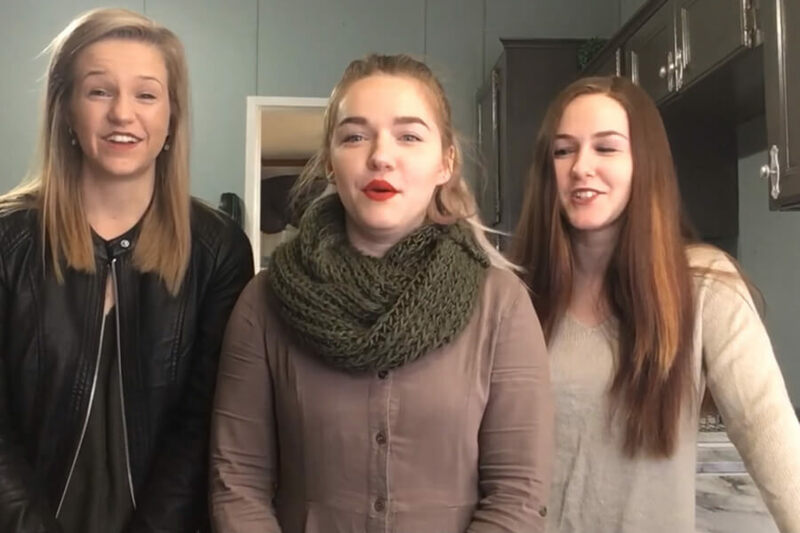 At the end of the YouTube video showing the incredible transformation of the house, the Schoonover sisters tell their parents what motivated them to do something so drastic. They explained that their goal was to give their parents the best Christmas present possible. One look at the before and after pictures and it’s easy to see the girls did just that! Not only were Karen and Chip overwhelmed with joy about their new home, they were amazed at what wonderful children they had raised. With the Christmas reveal done, Hollie edited the video and uploaded it to YouTube. It was the first video she ever uploaded. She never expected the response she was about to get. Slowly but surely, people began watching and sharing the video. The incredible story went viral. After a few months, it had racked up over 100 thousand views! The story doesn’t end there though. The video captured the attention of journalists who knew it was a great feel good story. 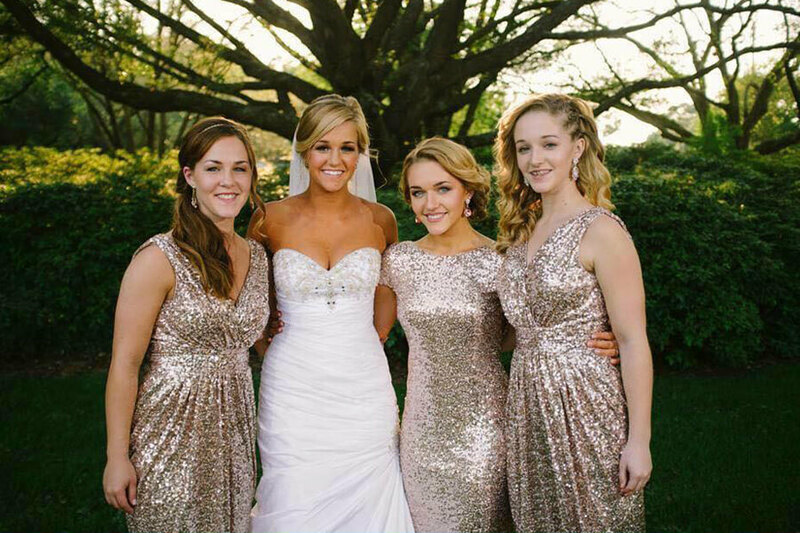 Haley knew the sisters had gone viral when she happened to see a picture of her and her sisters printed in a story on her Facebook feed. The sisters had no idea when they made the video they would be rewarded for their hard work, but it appeared that was happening. Haley shared the article with the rest of her family and friends. Obviously, no one had helped out to get national attention, but it was still pretty rewarding. As the story grew, it eventually found its way overseas. The Schoonovers became a sensation in Portugal and India. Their selfless act was proof that people are still capable of good in the world. The best news is that Haley, Heather, Halice, and Hollie are embracing their newfound celebrity status. They hope that their story will influence other people to do good things. Sometimes you just need to someone do something to realize that you can too!